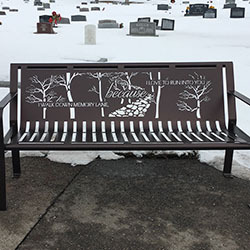 Cemetery Benches are a beautiful way to honor loved ones that have passed. The benches are available with laser cut design options, powder coating finishes, and different bench options. 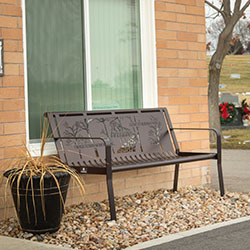 To get started on a cemetery bench, give us a call at (801) 414-1724, or click the button below. Why Add A Cemetery Bench? 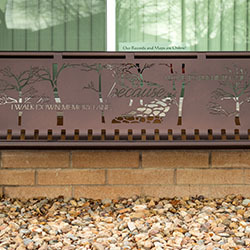 Our benches are designed to be part of the healing process for friends and family experiencing loss. The bench is a way to have memories inscribed on the bench, as well as images. The bench’s purpose is to ensure remembrance. It’s a place where you can go and sit with your thoughts and talk to your loved one. 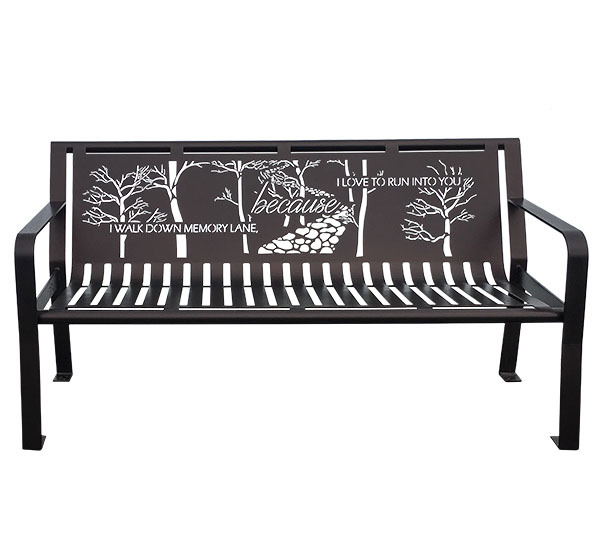 The memorial bench can become a sacred space to honor their memory. Our benches are designed to be both beautifully designed and practically manufactured. The body of the bench is cut from a single sheet of metal. Once it has been laser cut, it is then bent into shape. This allows for the need of fewer welds; yielding in less points of weakness. Each bench features stainless steel foot pads. This prevents rust and corrosion from creeping up the bench legs, even if scratches occur from being slid across uneven surfaces or pavements. Our powder coating provides a smooth, heavy-duty finish on the bench surfaces. This adds beauty to the bench, while protecting the metal from scratches, chips, and peeling that could cause rust.